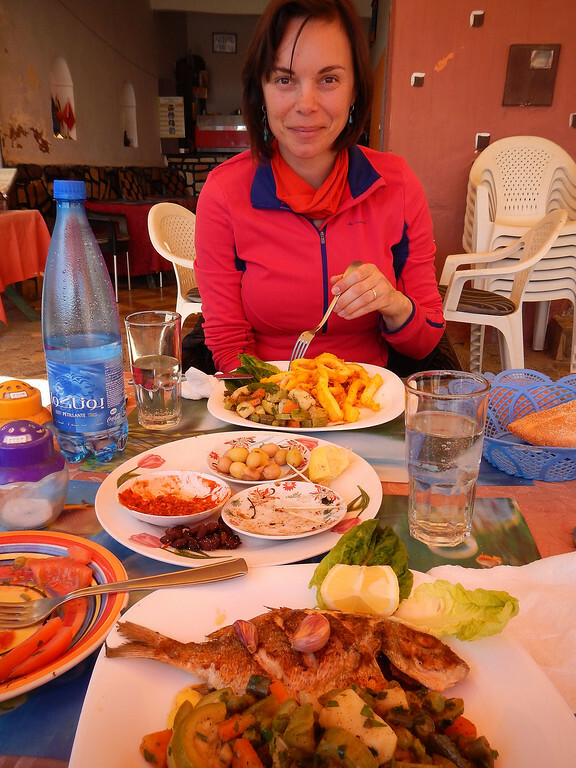 It's been freezing during our whole time in Morocco. 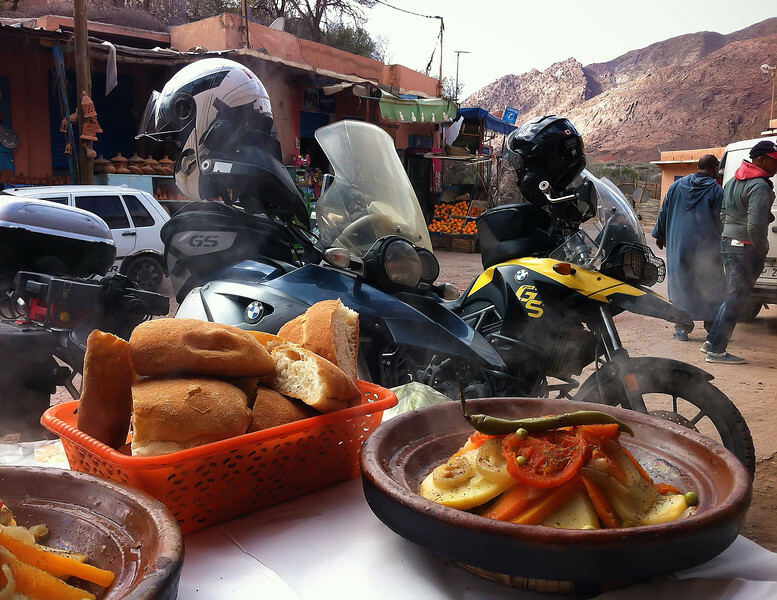 When we left Europe, we looked forward to baking in the scorching African desert sun. That so didn't happen... we've been bundled up in all of our layers for the last three weeks! 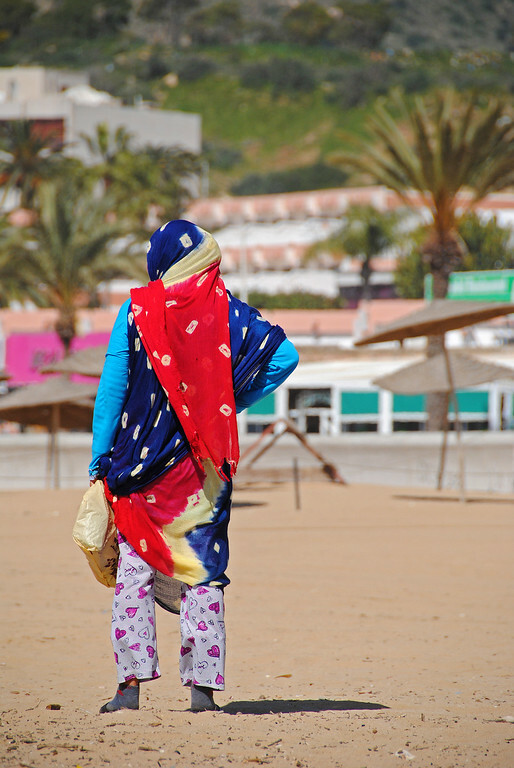 During our stay in Boulmane, we chatted with a tour guide who said that the warmest part of Morocco this time of year would be Agadir, on the western coast. So that's where we're going! 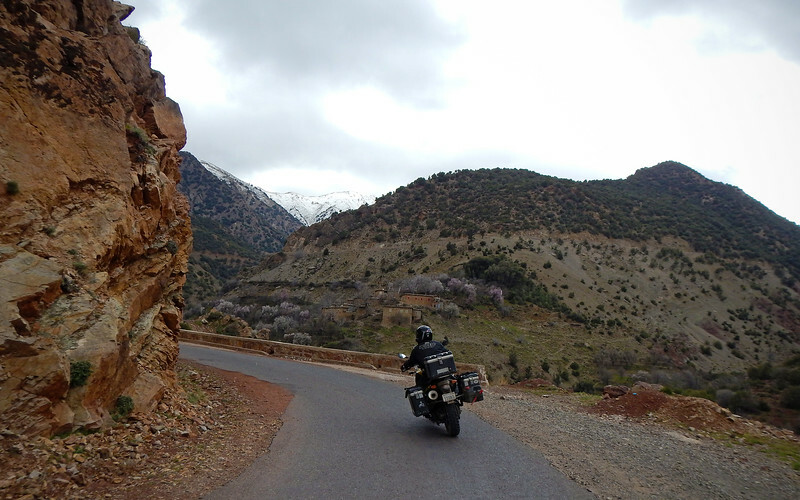 So back over the High Atlas Mountains once again in search of warm weather. 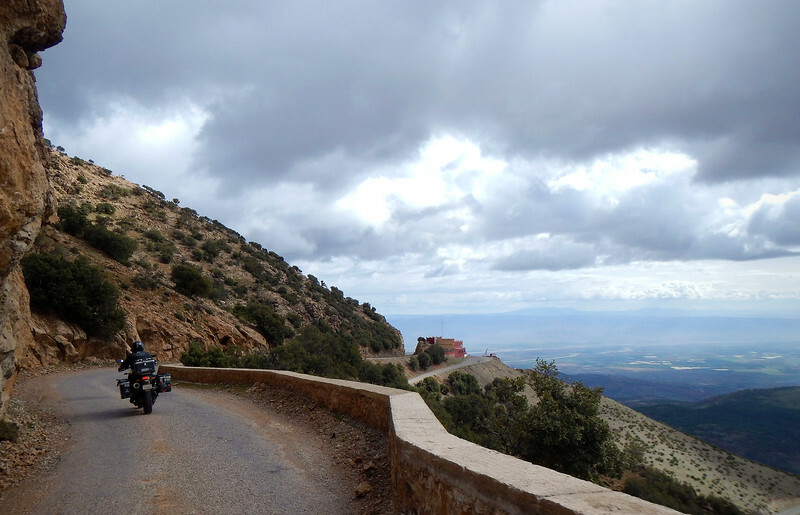 We are heading south-west on the R203, which goes up and over the High Atlas Mountains. 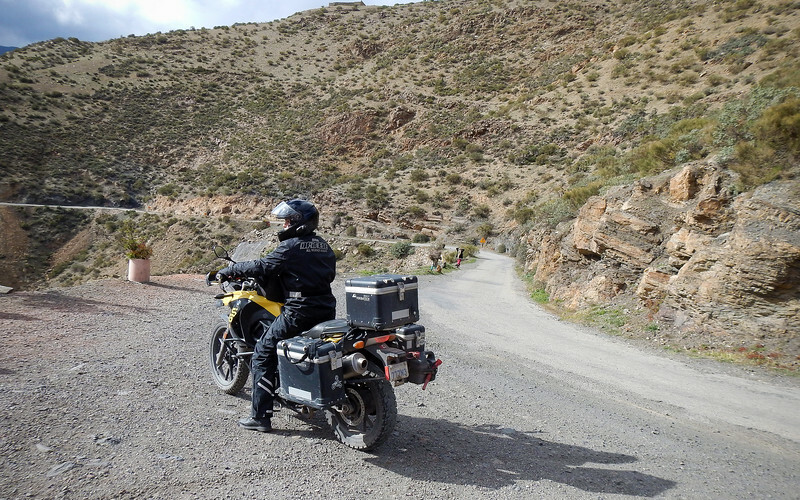 After lunch, the road takes us through the N'fis valley, where we are given a good idea as to what the roads are going to look like. As well as a great view too! Twisty roads always put smiles on our faces! 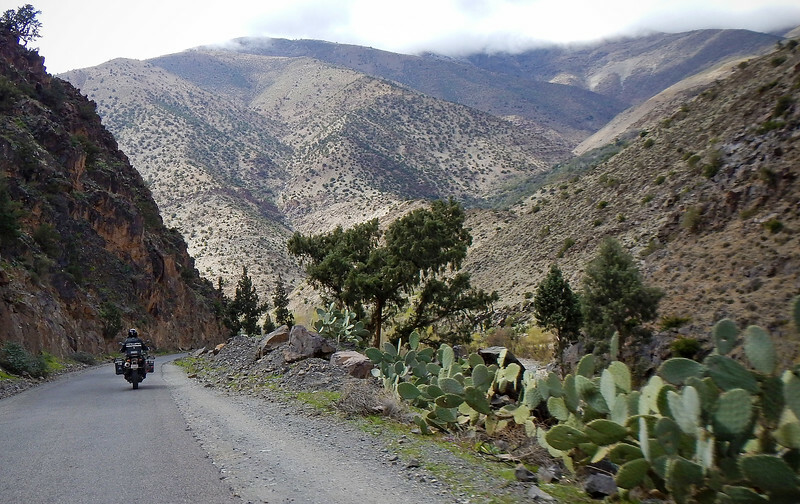 The R203 is called the Tizi n'Test once it starts to climb up over the High Atlas to over 2000m. 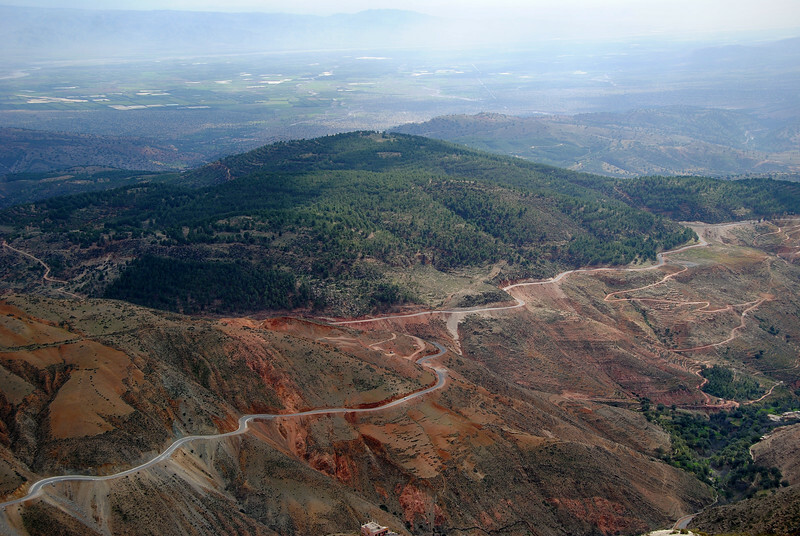 The entertaining part is when it steeply descends, offering us plenty of switchbacks and twists and turns, however it's hard to concentrate with the scenery just off to the side and below. 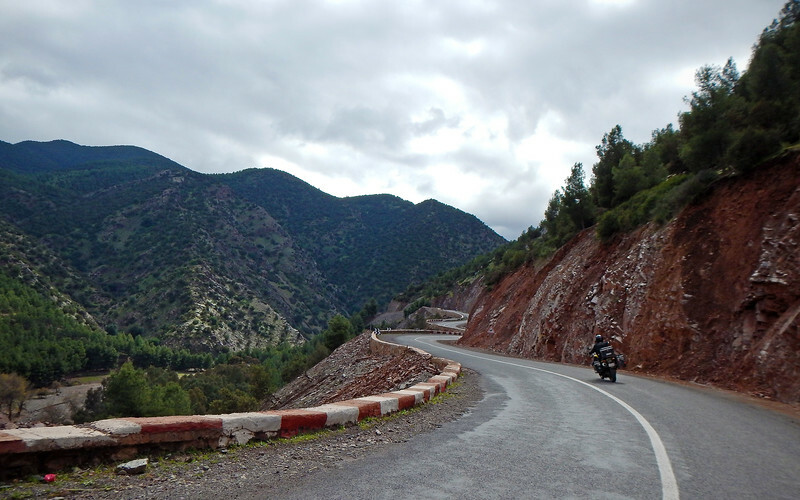 As we descended from the High Atlas mountains towards the coast, the weather got very, very warm - in the mid-20s. 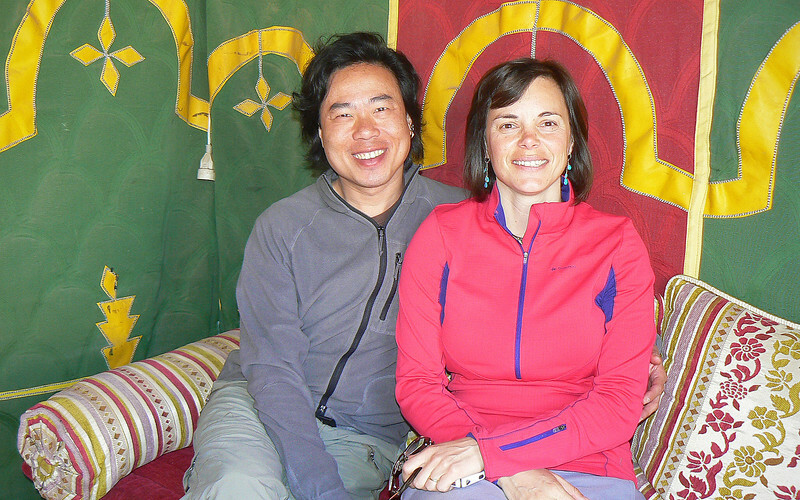 At our next gas stop, we peeled off all of our layers, this was the first time in a long time that I was able to wear just a T-shirt under my mesh jacket. Felt so good! 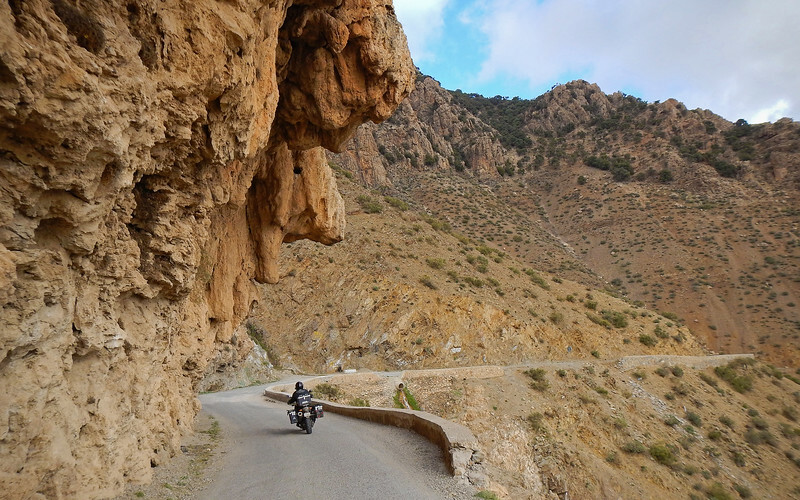 Just outside of Agadir, we noticed we were being paced by a car, which is not that unusual for us since we were quite an oddity rolling around on Moroccan roads on our huge behemoths. At a stoplight, the passenger rolled down his window to talk to us. He spoke English, but not any kind of English - Canadian English! Haha! We pulled over to chat. 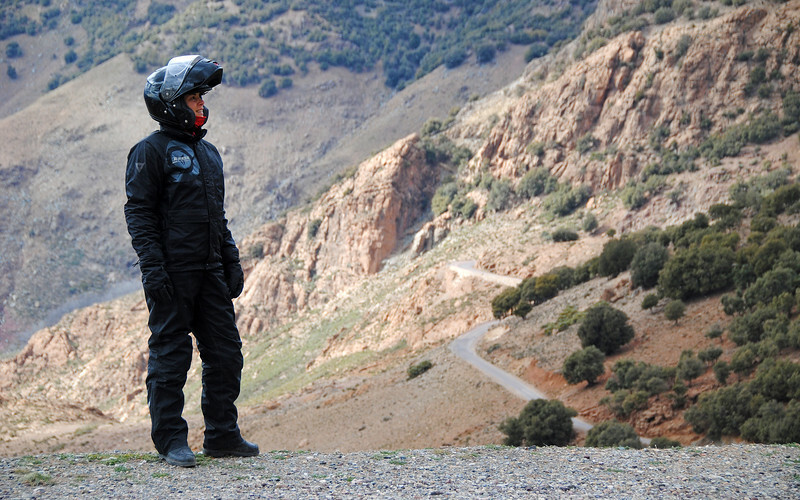 Yassine is from Mississauga (just outside of Toronto) and he was visiting family in Morocco. He told us he was so surprised to see Ontario plates on our bikes! 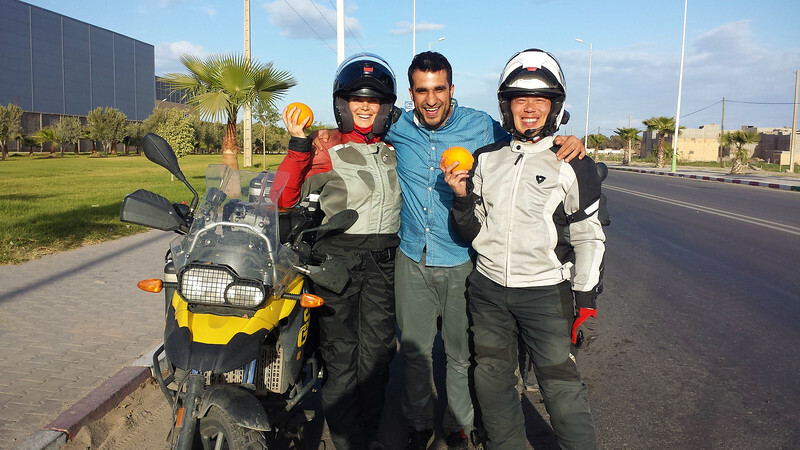 He imports Moroccan oranges to Canada so he gave us a sample of his goods. 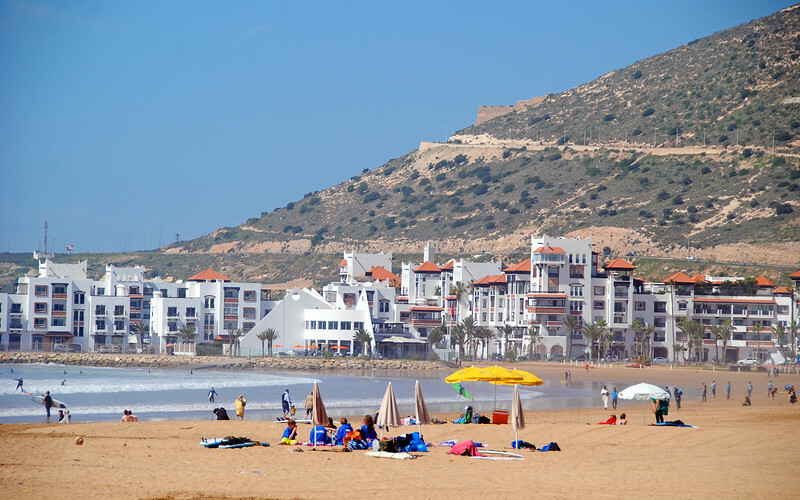 There was a huge earthquake in 1960 which completely destroyed Agadir, so the city was rebuilt from the ground up a few kms away. 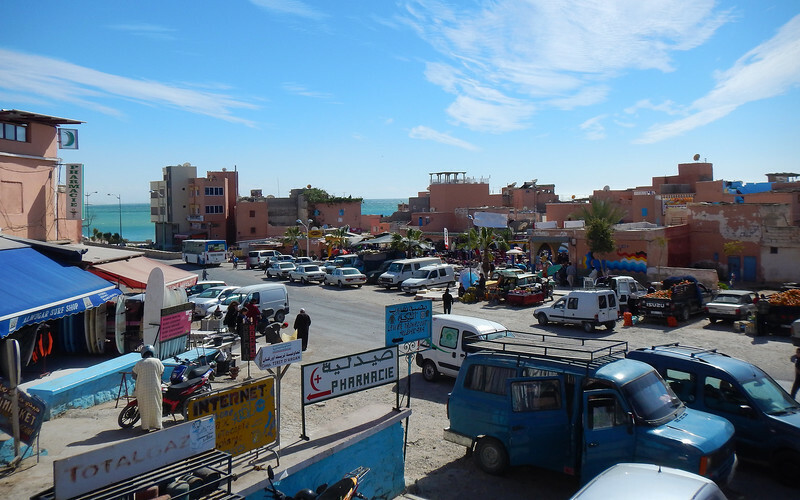 A lot of famous architects were hired to help in the rebuild and the result is a very modern place, quite unlike any Moroccan city because it contains no remnants of the old country. 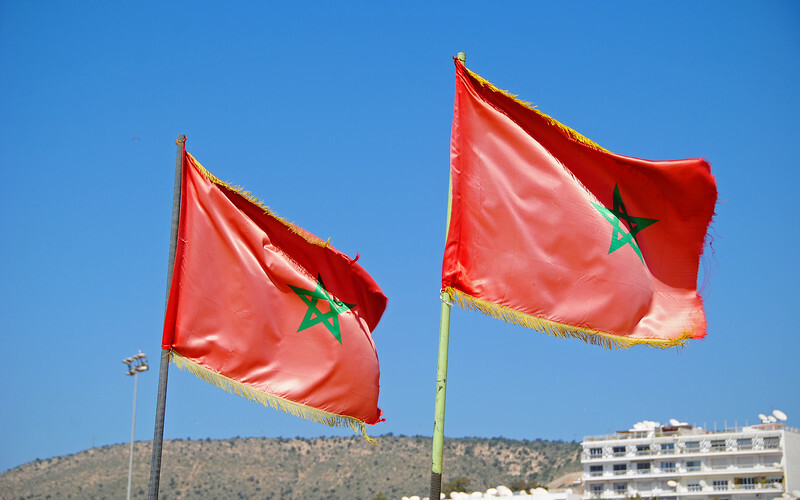 Morocco is considered a moderate Muslim country. They have more relaxed attitudes towards women's dress and behaviour here than in other strict countries. 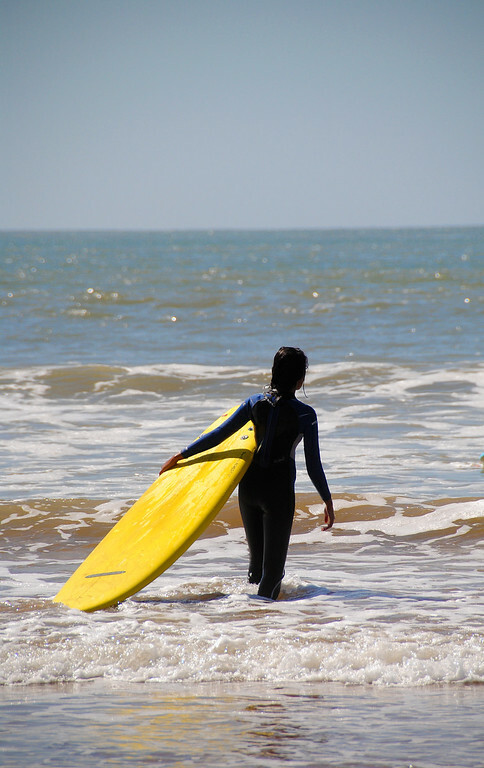 It was interesting seeing full burqas on the beach mingled with the bikinis of the tourists. Still, outside the beaches some tourists do push the limits of tolerance. 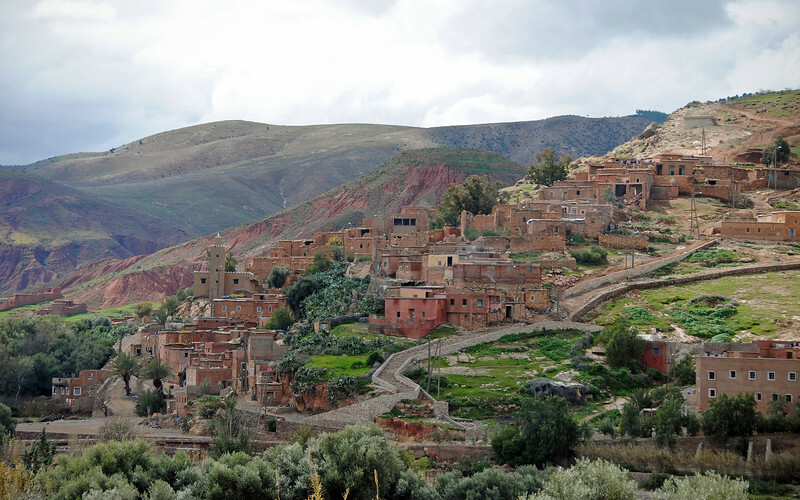 In Marrakesh a few days ago, we saw a trio of British girls walking the souks in sandals and skirts cut above the knee. They were totally oblivious to the shocked and disapproving looks of everyone! We're discovering new places all the time. 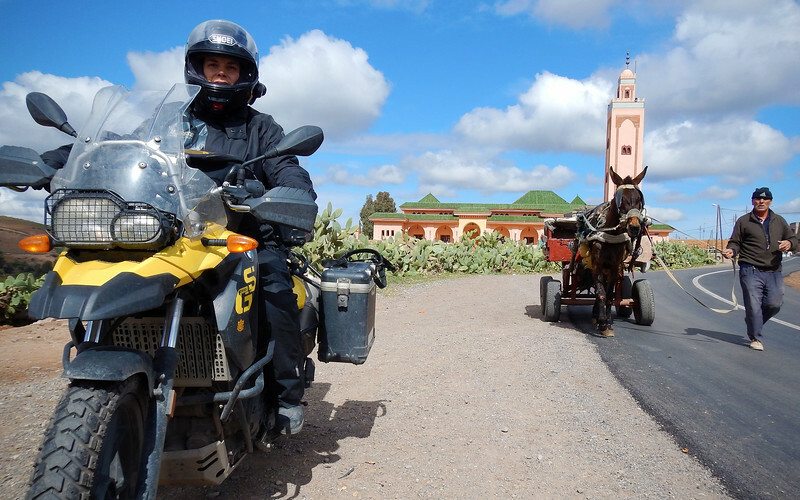 Just earlier, I had bookmarked Agadir as a place to spend a few days if we were ever back again, but now having ridden a few kms outside, we discovered the best place to stay in the area is actually in some of the smaller towns north of the city. The rocky coast is very picturesque and there's less of a western resort-feel, which is totally what we like. 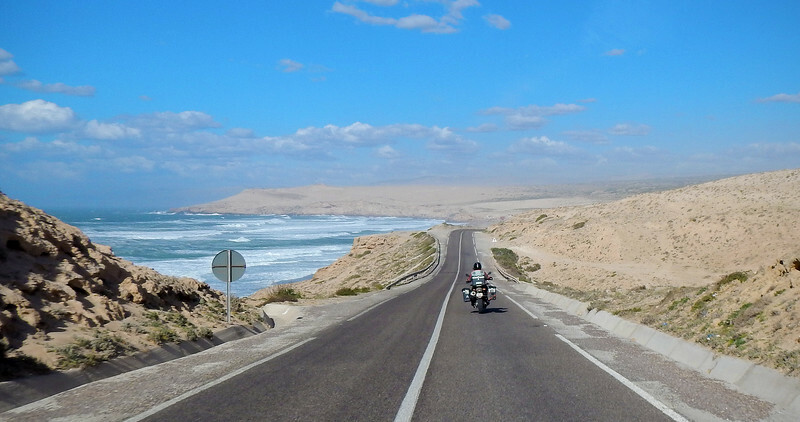 Our bikes weaved across the road as the winds from the Atlantic Ocean grew very fierce. 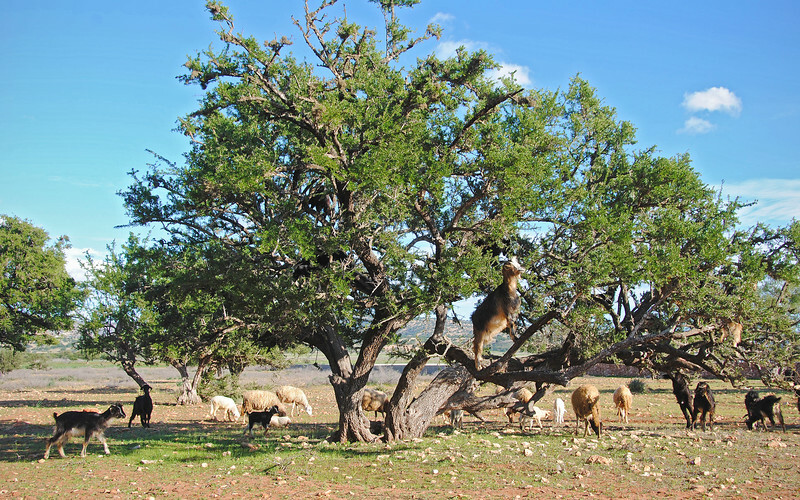 One of our friends told us about these goats in Morocco that could climb trees, so we were constantly on the lookout for them. 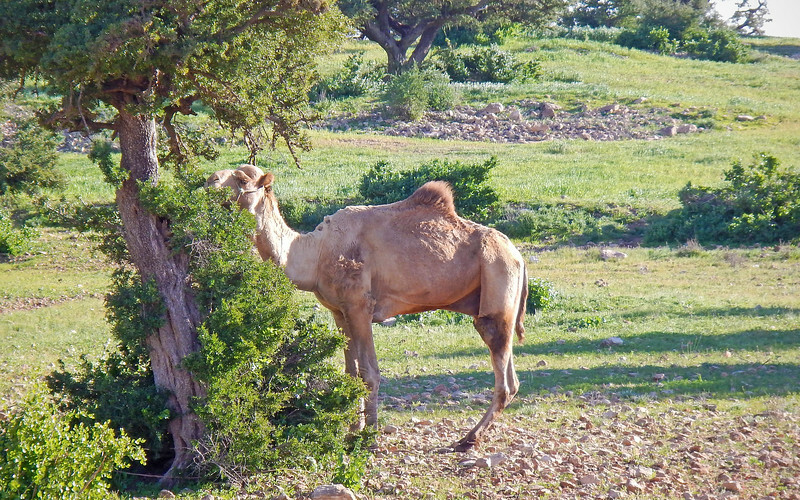 We spotted a whole bunch of them just south of Essaouira. 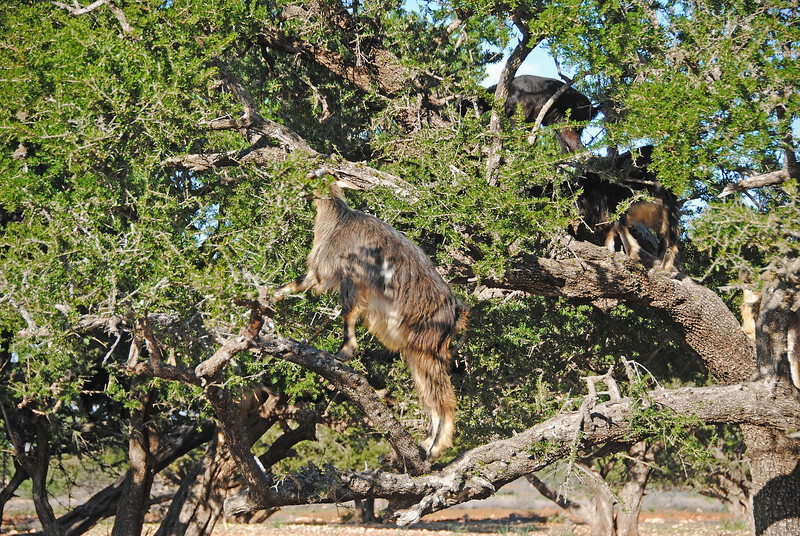 We had quite a laugh watching them jump up on the branches to get a nibble of the Argan fruit, which is indigenous to this area. These guys were extraordinarily nimble and some of them got quite high in the tree! These goats are quite essential to the economy in this area. 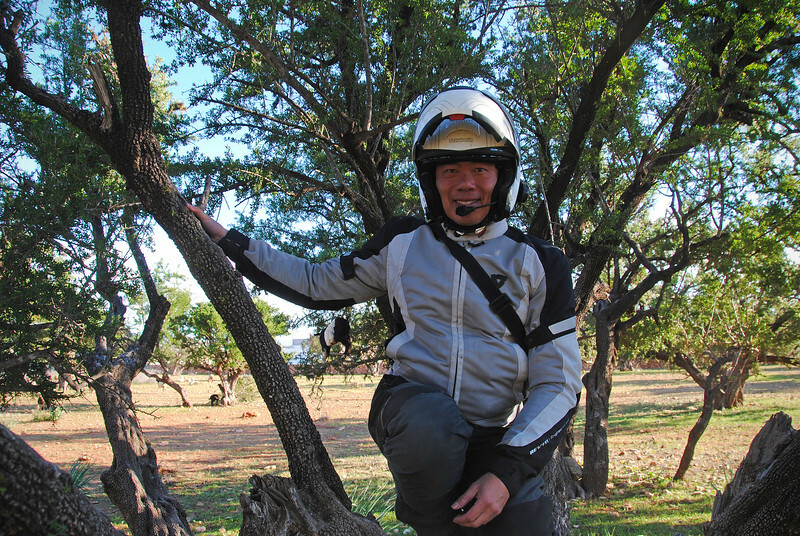 Everywhere, we'd see stands and stalls selling Argan oil. It's used for beauty products for the skin and for cooking. 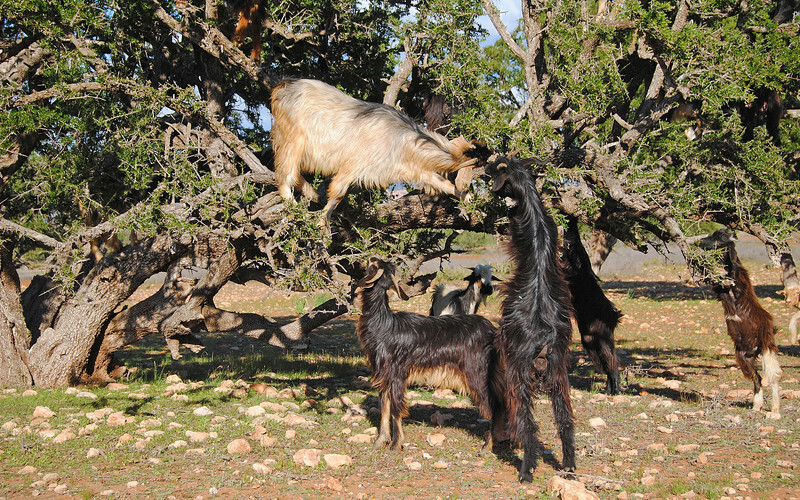 The oil is actually extracted from the hard nut inside the fruit, but only after it's eaten and excreted by these goats! 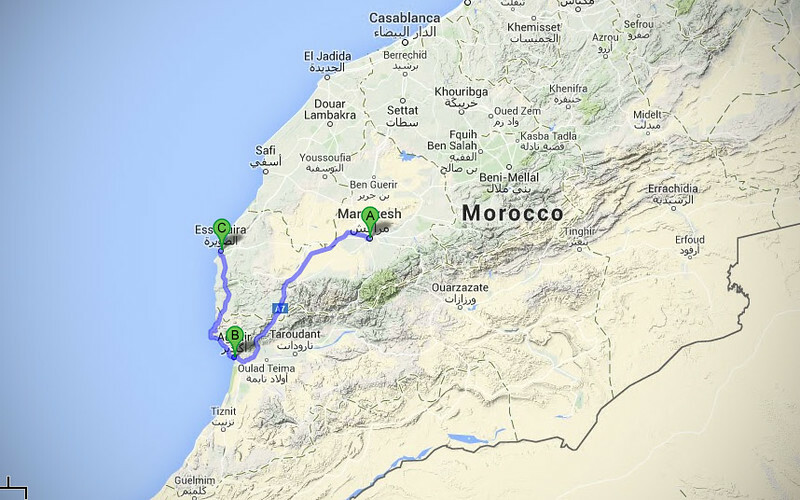 After pooping out some Argan seeds, I hopped on my bike and we were off to further explore the western coast!